I had two areas of my foundation that needed to be repaired, one around the chimney, and when it rained a lot, I needed to use a shop-vac as that is how much water was getting in, and the other area on the side of my house which I had previously contacted another foundation repair company that tried to repair it from the inside of my house. Needless to say, it didn't work, and because they did such a lousy job, did not want to even bother with them again. After not dealing with the foundation for a while, I realized that the mental and physical stress I was under from not getting the foundation repaired outweighed the money I would spend, and decided to contact another foundation repair company. foundation repair companies too, which I thought was a nice things to hear. Also, in order to fix the area on the side of my house, they would have to dig on my neighbor's front yard, and assured me that the work would not include any heavy machinery and that they would put back my neighbour's front yard just like it had been before the work, which I was happy to hear. After contacting other companies, I decided to go with Mr. Foundation. A work order was written up explaining everything that woudl be done, which seemed to me to be quite extensive and thorough. The work would not begin for at least four to six weeks, as they are that busy. When they did come to begin repairs, the crew were friendly, efficient, and obviously knew what they were doing. It took two days to do both repairs, but normally would have been done in one day, however it had been raining quite a lot, and the crew were worried for their safety around the chimney, as the soil in that area is quite sandy, and they were concerned of the hole they had been digging, would collapse, so decided to wait until the following day. The area around the side of the house went without a hitch, but I was informed that the weeping tiles along the chimney were clogged with that sandy soil, and normally they would recommend doing a power spray of water to flush out the clog, but could not guarantee it would work due to the fact that being in a row house, my weeping tiles were connected to my neighbors' and so on, and did also mention that if I did not go ahead, they would have to restrict the terms of the warranty on that part of the house, as I would still have a drainage issue. I liked that they explained exactly what was up, and gave me the option of what to do. All in all, they repaired both areas, and left my and my neighbor's property in very good shape. Then about a month later, the big test! "With a 7-day rainfall of 150.2mm, Jul 22nd➞Jul 28th 2018, were Ottawa's wettest 7 days in more than 119 years, since Jul 11th, 1899." Not a drop of water to be seen anywhere in the basement! If that doesn't prove to me they did a great job, I don't know what will. Hope I never have to contact them again, but if I ever run into another problem with my foundation, I certainly know who I will call! Have nothing but praise for Mr. Foundation. From my first encounter with the owner, Mr. Lecours, had a very good feeling and I was not mistaken. Team led by foreman Chris was hardworking, kind, answered all my queries, worked in difficult weather, always on time and in good mood, rebuilt everything they had to dismantle to my satisfaction including my stone entrance, deck and interlock. All in all, best decision I have ever made in choosing them. I have been recommending them since the beginning and will continue to do so. Thanks to them, I now have a dry basement and have nothing to worry about anymore. Thank you again Mr Foundation. Thank you Diane, it was a pleasure working with you. It was a pleasure dealing with the team from MR Foundation. From the initial diagnosis to the scheduling of the repair to the completed work all commitments were honoured per our agreement. The team completing the repair in one day and left the “worksite” (my backyard) in excellent condition. I will recommend this company to my family and friends without hesitation. Requested cost estimate to repair basement leak. Within a week the estimate to complete the work was sent to me and I called the office to accept the offer. Within 2 weeks 3 young men came to our house & carried out the work and were finished by mid-afternoon (approximately 6 hrs). 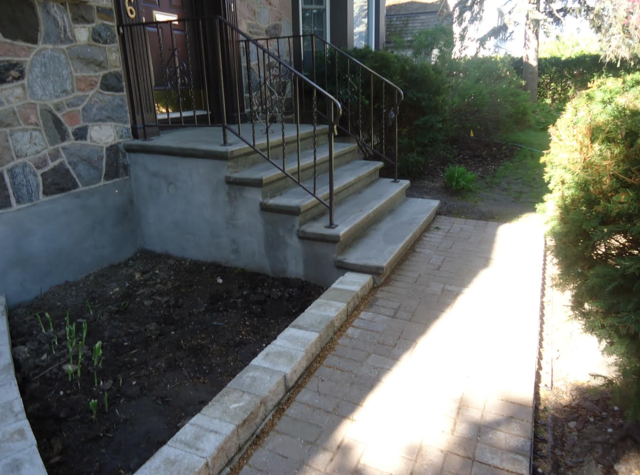 The work was done cleanly and efficiently and we are very happy with the results. I would happily recommend the company to prospective customers. After being very clear that I wanted a membrane on the entire front wall of my foundation, they gave a quote that turned out to be for only a 6 ft section. The reduced length was hinted at by vague language in the quote. I wasn't home for the first half of the job and by the time I arrived it was too late. My mistake for not reading every word, but it didn't occur to me since it was completely obvious in our discussion that the membrane was supposed to cover the full length of the wall. Why would anyone go through all that trouble and expense to cover only a 6 ft section? What would be the point? They also badly damaged the interior wall when they knocked out bolts that were embedded in the foundation. I wanted the bolts removed, and assumed they would properly repair the holes, as agreed, but they only patched the outside with a thin layer of cement. I asked for a quote to do the job that I originally wanted and it was double the first quote - for almost the same amount of work! Gee, thanks for the obvious attempt to gouge me, but I'll pass. I'll use the money to repair the damage they did on the first job. On the 22 of November 2017 an estimate of services was provided to Mr. Carswell by email. In this estimate it was clearly stated that a 6' dig (excavation) would be preformed at the front entrance area. Prior to signature he had ample opportunity to get other quotes from other suppliers of services. Mr. Carswell approved the estimate that was sent, and a contract was issued and signed by Mr. Carswell on the 8th of December 2017. The contract clearly defined a 6' dig. The bolts in question were removed and repaired. We are of the opinion that we have never mislead the client as to the size of the dig since it was very clearly defined in the estimate and the contract. The client is aware that we issue a ten year transferable warranty on the work performed. Mr Foundation has been in business for 26 years and we pride ourselves on quality of service. I had a property that required foundation work, I called Mr Foundation for a second quote. I was charged a $250 fee for the quote despite advertising free quotes. The quote that I received was double my first quote. Not sure if he really how there could be such a discrepency. Any how I would definately get a couple of quotes and don't pay for quotes. Its not a common practice. The property was not outside of the Ottawa bounderis and I not sure what is meant by a real estate fee but the properties is a new investment that was bought and required foundation work. The home had a sold sign sold sign in the front,so I don't see what the difference is. If the quote was anywhere comparable, I would not think it is a dishonest practice but when you go from $37 000 to $89 000 for less work something is grossly wrong. The other contractor did a very thorough quote was with me at the property for over an hour and we went through and discussed several option as well as they had more score of work of enlarging the window wells and changing out the windows (supplied by myself) . We charge a $250 fee for real estate inspections or if you live outside our Ottawa Boundary (pass Cumberland or Kanata) which as a business owner is a common business practice. Most of our competition give quotes over the phone and our closed for the season. We work all winter and meet with every client. Mr Foundation has been in business for 27 yrs. please check out the reviews our repetition is very good. We make sure that each job is diagnosed properly and provide the client with a right solution. We do recommend that all of our clients get minimum of 3 quotes, we also provide our clients with references of work that has been completed in there area. 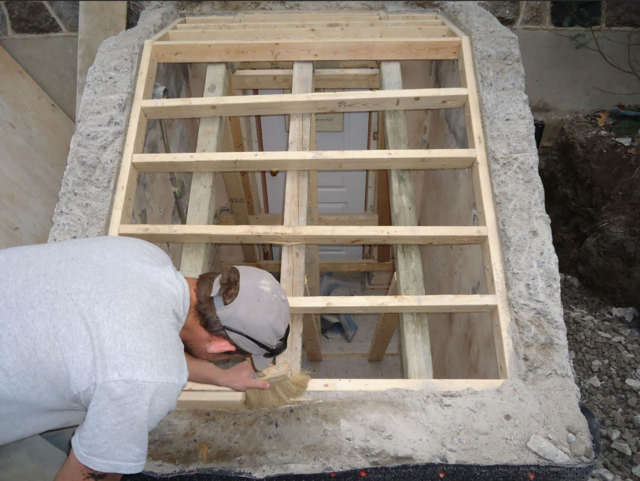 THE JOB: fill a hole left from removing an endless pool measuring 16’x14’x4’ in the basement of our home. 6. cement to a smooth finish. The 2-day job was well planned and executed. As a result we now have extended floor area for use as office space. Mr. Foundation addressed some cracks we had that had led to some leaks in our basement due to the heavy rain this spring. They were very responsive and their on-site team was very considerate. Once the work was completed, they restored the landscaping back to its original state. We are very happy with the quality of service that we received. Thank you Lise, it was a pleasure working with you. Mr. Foundation repaired 9 cracks in my foundation and then wrapped my whole foundation in a rubber membrane (along with a bunch of other things like installing weeping tiles, parging and filling in the old sump pump hole in my basement). The on-site workers were friendly and worked very hard. The operations manager explained things thoroughly and was in constant communication during the whole process providing progress reports. The two main reasons I chose to go with Mr. Foundation were the no-pressure consultations, where they assessed my problems and provided honest opinions on what options there were to fix them. The second one was they fixed my house I grew up in over 15 years ago (which was barely a foundation, pretty much just dirt and a bunch of rocks). I can't say enough good things about my experience with Mr. Foundation. Glad they're still doing great work after all this time! It was a pleasure working with you. Thank you for such a wonderful review. I had a serious flooding in my basement during the first week of April 2017. The main reason was the clogging of the weeping tile. I start asking some contractors to give me an estimate for the repair. I meet with four contractors and I discussed with them how they will do the repair. As a Professional Engineer, I was surprised to see that no one gave me the right answer and the right way resolve this problem. Finally, my neighbour told me ask Mr. Foundation, he did the replacement of my weeping tile 2004 and since that date everything is ok. I contacted Mr. Foundation and I met with Patrick Lecours. He explained to me step by step how the work will be done and he provided a very reasonable and complete estimate. We had our contract signed and the work started. They excavated all around the home (Approx. 60 feet x 33 feet), repaired inspected and repaired the crack in the foundation. At the end of every the work day, the team clean the site and secure it. After few days they completed the work on time as promised and to our full satisfaction. I was very impressed by the professionalism and quality of work. In addition, all the team including the office staff were courteous and ready to answer any question. I highly recommend Mr. Foundation to this kind of work. Thanks Patrick and thanks to all Mr. Foundation staff. It was a pleasure working with you. We really appreciate you taking the time in writing about your experience with Mr Foundation. Mr. Foundation a full service foundation repair company with over 19 years experience. 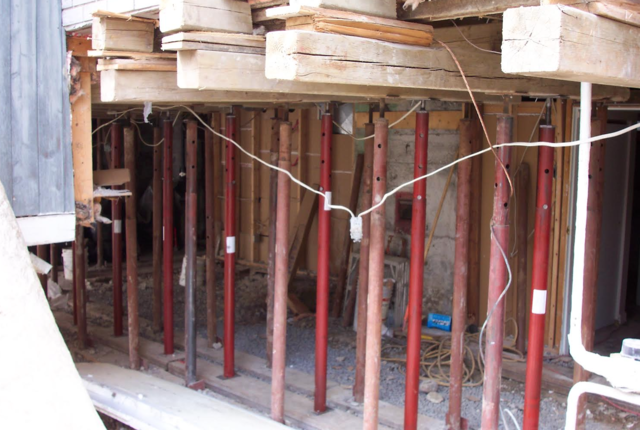 Mr. Foundation is a certified installer of Ram Jack Foundation Repair Systems, a hydraulic piering system composed of steel push and helical piers, a cost effective technology to re-level structures and alleviate future settlement of foundations. 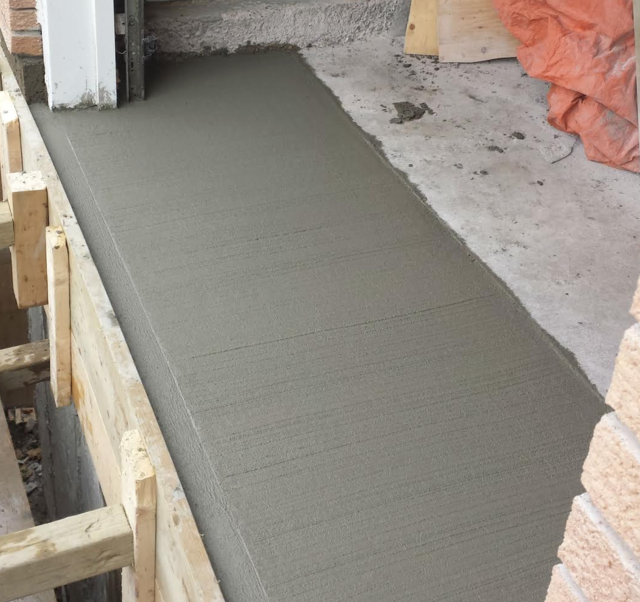 In its quest to become market leader and in order to provide leading-edge innovative solutions to its customer's, the Organization became the first company in Canada to implement the Ram Jack Foundation Repair System. 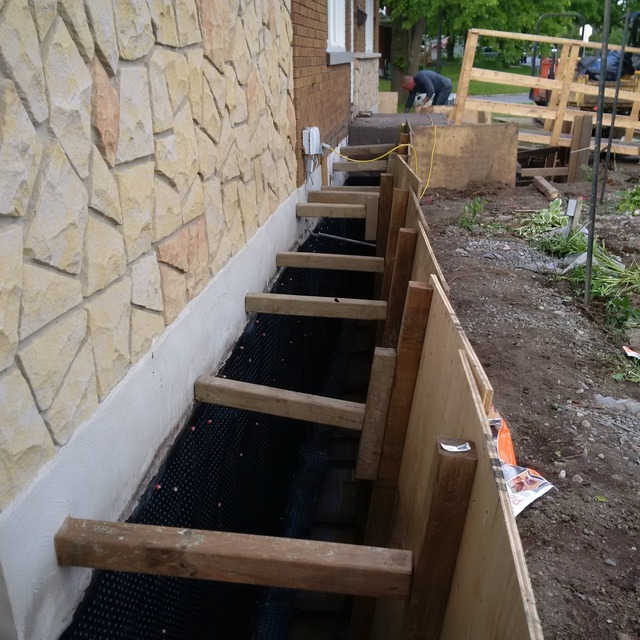 To provide our client with varies repair options Mr Foundation acquired exclusive rights in Ottawa, for Fortress Stabilization Systems, a Carbon Fiber/Kevlar grid strip that will halt further movement of a block or concrete wall, easily, safely and without any outside excavation. 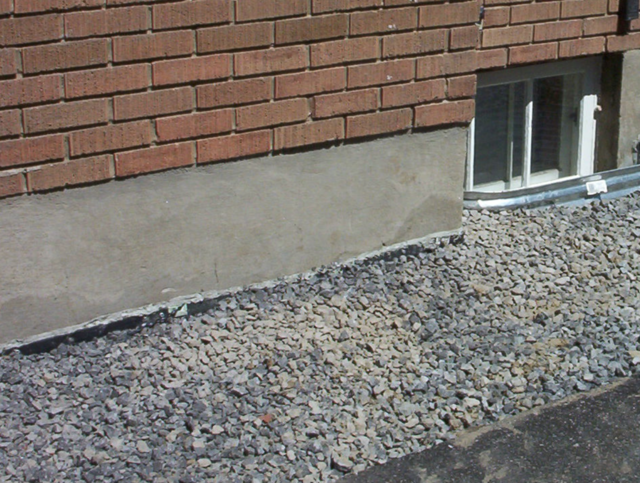 Mr. Foundation, is a recognized industry leader and is routinely consulted for there expertise in foundation installation and repair, underpinning, re-leveling of structures, drainage systems,waterproofing, retaining walls, erosion control, crack repairs and other soil-related and concrete repair issues. The experienced, knowledgeable staff at Mr Foundation is committed to properly analyzing the problem, designing the appropriate solution and performing the construction services required to provide positive resolution with exceptional quality and service every step of the way. 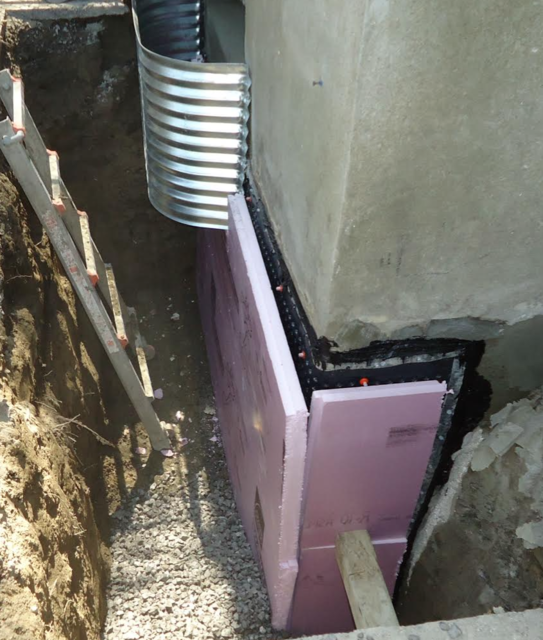 Mr Foundation is a certified installer of Ram Jack Foundation Repair Systems, a hydraulic piering system composed of deep steel piers and helical piers, a cost effect technology to re-level structures and alleviate future settlement of foundations.